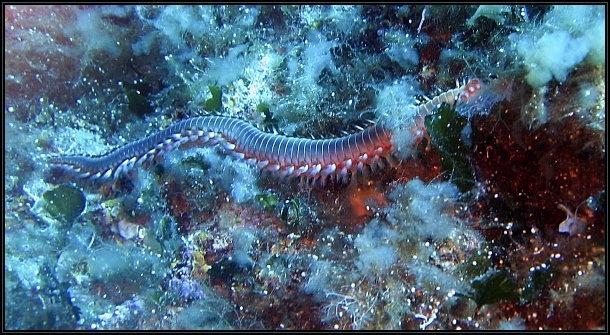 The bearded fireworm (Hermodice carunculata) is a large marine worm commonly found in Wied iz-Zurrieq. 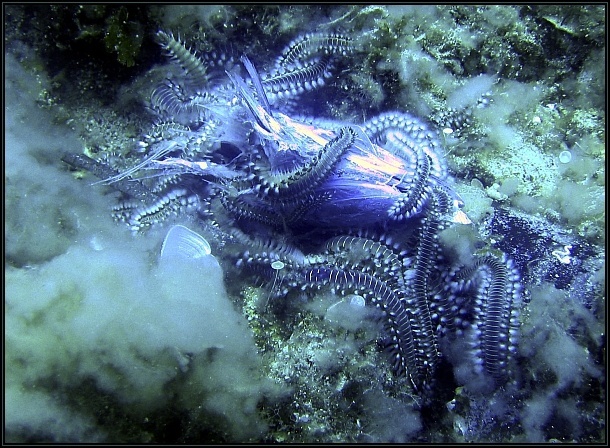 The worm gets its name from the intense painful burning sensation on touching the worm. It is recommended that the area is swabbed with alcohol to reduce pain AFTER applying adhesive tape to remove the spines.